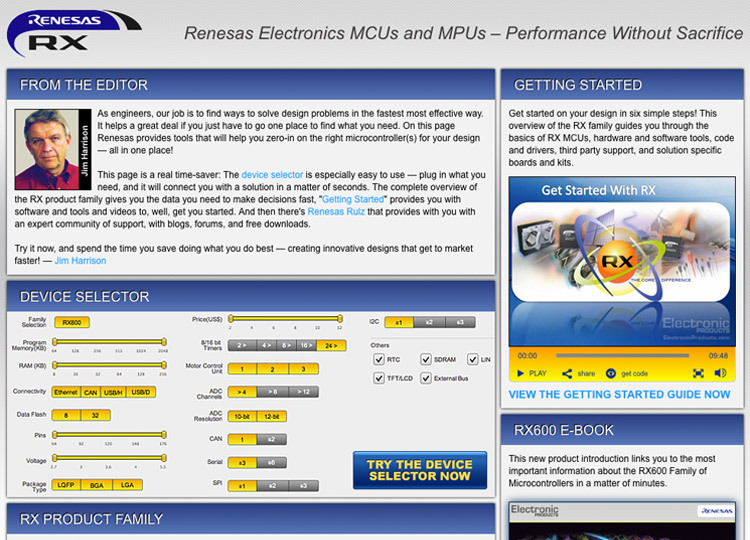 I designed this one page website for Renesas to promote their Rx product line. I created the mockups in Adobe Illustrator and then wrote the HTML and CSS with Adobe Dreamweaver to build the page. I also created a cusom video player in Brightcove with colors to match their product.